Classic Bus, like any magazine that starts off uniting passions, is about buses and coaches and their operations in day to day lives. Buy a single copy or subscription to Classic Bus magazine. But is it just that? Of course not! It is a recounting of the lives of people who have made the pursuit of buses and their glory the passion of their lives. It contains the interests and dislikes of those that have followed buses since their colorful inception, the different companies that have shaped present-day buses to look the way they do and why buses can be a passion. 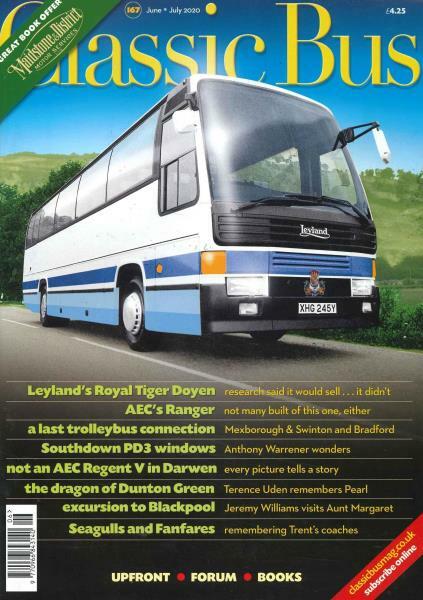 This is quite clearly a British magazine that investigates factual stories and innumerable reminisces about buses of yore and the changing dynamic of the people that have travelled in such buses and coaches since they first began running on roads. Edited by a team that strongly believes in the magic of a bus/coach, they bring fresh perspectives and industry-related news or gossip in order to make the reading experience more interesting and fruitful. After all, buses change lives and viewpoints become more enjoyable with that realization!